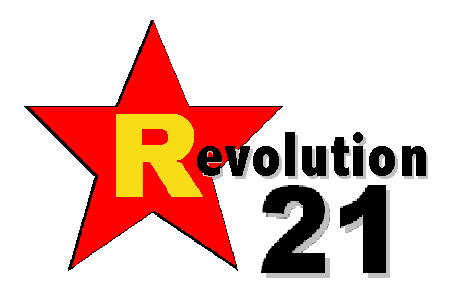 Revolution 21's Blog for the People: 3 Chords & the Truth: It's minty fresh! Your mileage may vary, but do you want to know what I think the neatest thing about radio is? It's when it does something completely unexpected. When it takes well-known things and does something totally off the wall with them. Good luck finding that on the AM or FM dial today. That's why 3 Chords & the Truth is here. The Big Show exists to take music, mix it, match it, mess with it and see what happens. What happens is usually pretty good, if I -- your Mighty Favog and host of the whole thing -- do say so myself. See, it's kind of like mint. Most everybody likes mint, and around here it will take over your back yard if you let it . . . which I am prone to do, being that I really like fresh mint. I LIKE TO steep some in a pot of English breakfast tea. I like to throw a couple of sprigs in the bottom of a pot of coffee for a minty brew. But did you ever eat the stuff as greens? It's mighty good on a sandwich. Adds a lot of zip and zest to something pretty ordinary -- try it sometime. 3 Chords & the Truth is the musical, Internet version of piling mint on your salami sandwich. Most people probably wouldn't have thought to do that, but it's pretty damned good once you do. And if you ask me, this week's program is a standout example of that. Once upon a time, American radio was all about putting mint on your sandwich . . . or in your salad. Certainly about steeping some in your pot of tea. Today, radio is just about dead, and it's places like this -- the Big Show on your podcasting dial -- that are taking ordinary things and aiming for the unusual . . . and extraordinary. I don't mean to particularly blow my own horn, though. It is what it is; we do what we do. It's just a necessity, given Corporate America's pillaging of an industry and a culture. And it's kind of exciting, actually. I hope you would agree. NOW IF you will excuse me, I need to eat my sandwich. It's piled high with hard salami and . . . backyard mint.